Leading local and international developers will be showcasing their latest real estate projects and investment opportunities from across the property spectrum to homebuyers and investors, at the Cityscape Jeddah property expo being held in the Saudi city next year. Part of the Cityscape portfolio, the event will see more than 40 exhibitors and over 8,000 visitors take part, said the event organisers Informa Exhibitions Saudi. The newly opened country branch of Informa Exhibitions is looking to grow Saudi Arabia’s non-oil sector with its events in 2019. The expansion into the kingdom this year comes at a pivotal time as the country prepares for its Saudi Vision 2030 goals, a blueprint for economic diversification to usher the country into a post-oil era, said the organisers. The Saudi branch will look at bringing world-class events into the kingdom next year as well as establish their footprint in the exhibitions’ industry with their list of regional and global events. 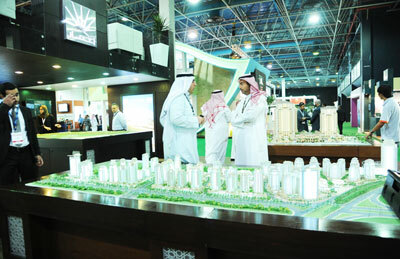 Among the events billed for 2019 is the 8th edition of Cityscape Jeddah, expected to be the Saudi city’s largest real estate exhibition, taking place from April 5 to 7 at the Center for Forums and Events, they stated. Investors have remained optimistic about the real estate market following Saudi’s Vision 2030, which aims to diversify the economy away from oil. Reforms under the Vision 2030 are expected to create an attractive investment environment, especially for the real estate sector, which is predicted to double its contribution to the economy throughout the period to 2030, they added. "We see Saudi Arabia as a vital market for Informa’s global growth strategy and we are working on bringing several world-class events to the country," remarked Mohaned Yaman, the senior exhibition manager at Cityscape Jeddah. "Over the last few years, we have witnessed the Saudi city make significant strides to attract foreign and local investment, implement various urban regeneration initiatives, and invest in infrastructure, factors that will no doubt transform the country into a global investment powerhouse," he noted. "As leaders in our field, we strongly believe that through our events we can drive investment and create a meeting point for regional and international leaders who can contribute towards Saudi Arabia’s Vision," he added.